Absolutely AV Video Productions – Johannesburg is a complete video production and video editing service. 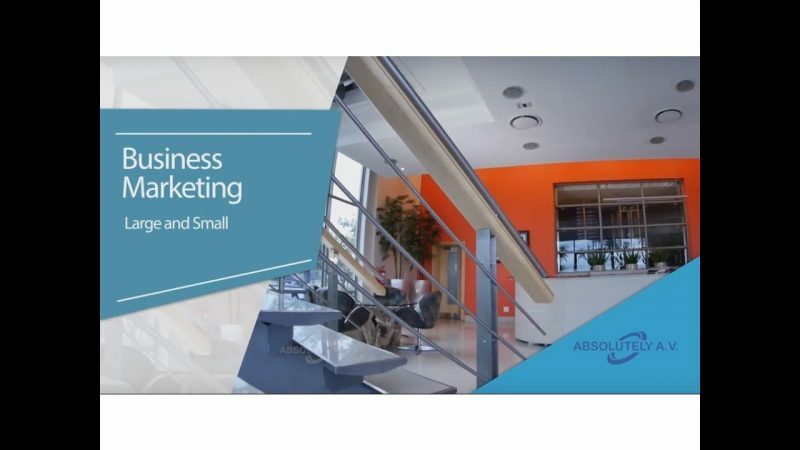 It is a professional corporate video production company in Randburg, Johannesburg North, producing high quality affordable video productions for a range of video needs including online marketing, training videos, website videos and event video. HD and 4K video productions for business and professional use in video marketing, training, instruction, induction training and company communications. Absolutely AV Video Productions. We provide a complete service including script writing, voice over, concept, videography, editing, post production and assistance with online video placement including online marketing and social media video use. We also provide conference video services including presenter recording, interviews and presentations including placing presenter slides in corporate event videos for training or online marketing purposes. Businesses also make use of videos for training purposes including induction and safety training. Absolutely AV provides for all needs to create a complete training video system. Online video training is also becoming a big feature for online learning for all ages and learning fields. Schooling provided for pupils all the way to professional and business training make use of video for accurate and consistent training. Pritchard St Johannesburg North Randburg 2188 South Africa.